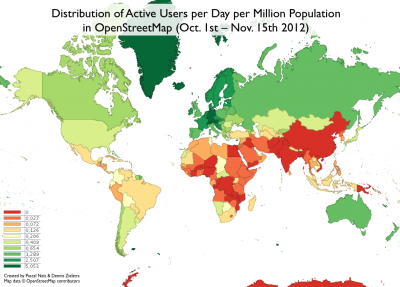 Two years ago, we created some maps which showed you the number of users per country for a timeframe of one month. Maybe some of you remember that the highest concentration of active contributors in relation to the countries’ population could be found in Europe. We thought it was about time to make some new maps to see if things have changed. 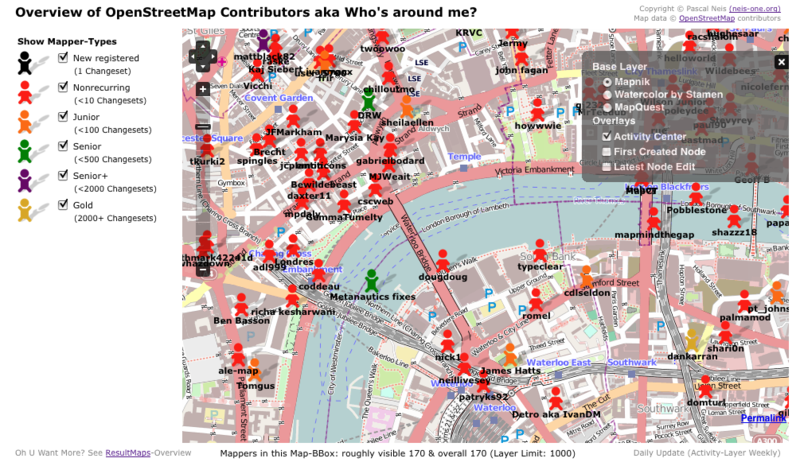 The following map shows you the number of active contributors per day per country. Similar to our results two years ago, the above map only gives some general information about the total number of users per country and does not consider the population for each country. 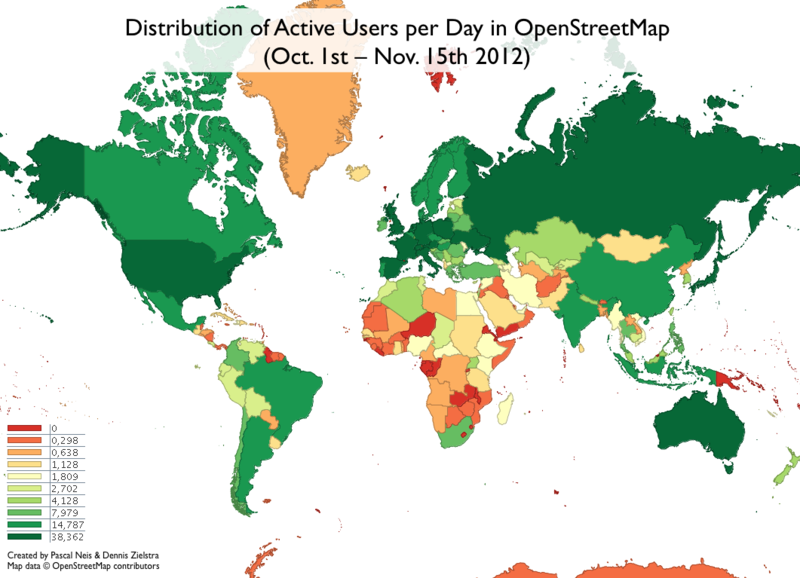 Therefore we created a second map which shows you the relation between active users and the population in each country per day. More than 6 weeks ago, I wrote a blog post about “Which country has the most OpenStreetMap GPS Points?“. You might remember that Russia and Germany provide the most OSM GPS points, as mentioned in the blog post. Now, in a second step I created a worldwide grid, with an edge length of 15km, to show in more detail where the GPS points are located. The rendering of the tiles has been accomplished with the great TileMill software. Usually you would see some GPS noise in the grid cells above the equator. Thus, to eliminate this noise and to create a better overview, grid cells with less than 5 GPS points are made transparent. 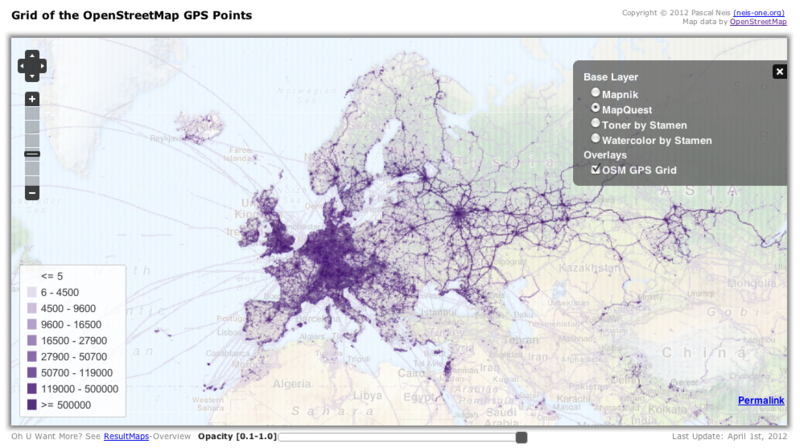 The following image shows an overview of Europe and the corresponding OSM GPS density. Of course you can also see some quite interesting and funny airplane, ferry or cruise routes.